In the past few days there was a spate of attacks committed in a small area of east London, presumably by the same people, over a period of around 90 minutes in which acid was thrown in the faces of moped riders who were then robbed of their vehicles. 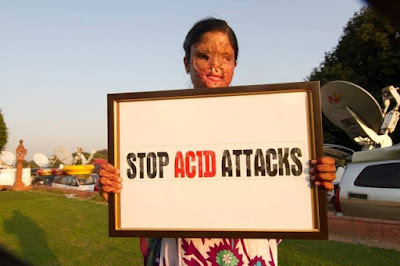 The use of acid seems to have become more common recently, although whether that is because there are more acid attacks or because they are more widely reported I don’t know. What I do know is that 10 years ago my old firm dealt with a case in which a teenage girl was gang raped over a number of days then disfigured by having caustic soda poured over her face and body. While I think it is more strictly an alkaline, lime was used centuries ago to blind attackers by pouring it on them from the battlements above. I heard on the radio this morning that prison officers are calling for better protection against violent prisoners. Currently, I understand there are 19 attacks on prison staff every single day in British prisons. Understandably, those on the receiving end of it want to be able to protect themselves from such attacks. 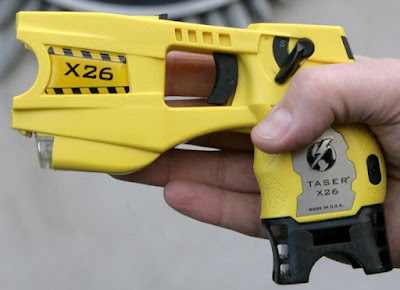 The suggestion is that prison officers be armed with taser guns and CS spray in addition to the batons they already carry, which many seem to feel is inadequate. In addition, they want stab vests and body worn cameras. The last is presumably to deter violence against them and capture evidence of it when it does occur.